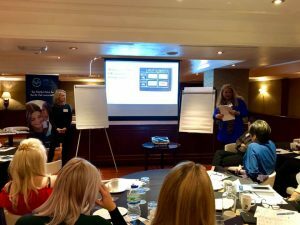 Our director Sandra Landau recently attended the IAPA Workshop which was in held in London on the 16 November 2018. It was well attended and the attendees did a lot of brainstorming and came up with many ideas. The key goal they have is to fight for the Au Pair Programme in the UK for it to remain popular, Brexit or no Brexit. The AIPA chair, Delphine Vaills welcomed all attendees well, and presented them with workshop objectives. They discussed the strengths of the British Au Pair Progamme and analysed all points raised well.